The challenge takes in the South Downs National Park, National Trust protected coastlines and an ‘area of outstanding beauty’. 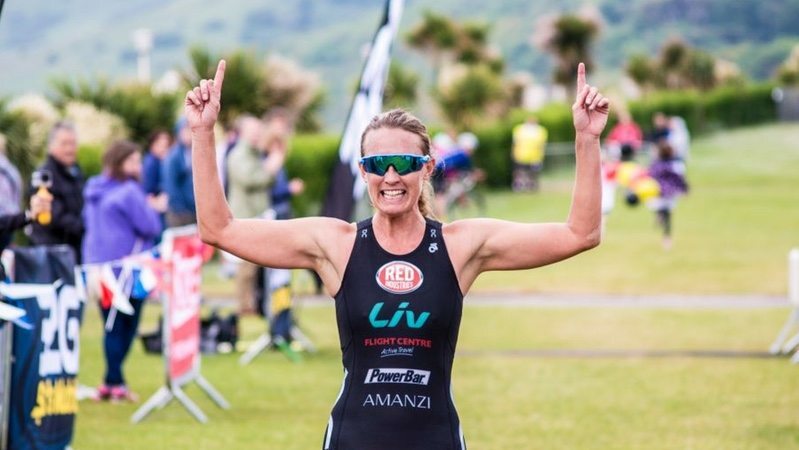 Those taking part on 3 June will swim 600m in the sea, before a challenging 19km bike course on partially closed roads and a final 5km run that finishes on the promenade. Despite only being in its second year, the Eastbourne Triathlon was recognised as the ‘Race of the Year’ by Racecheck.com. The organising team add that this year is set to be bigger and better. In 2017, the race is joining forces with the Eastbourne Cycling Festival, offers partially closed roads and free admission to an event village. The aim is to have lots to see and do to encourage thousands of spectators to come down and watch – in support of the Eastbourne Voluntary Lifeguards and St Wilfred’s Hospice. The race action starts at 07:30 GMT. A new addition to the race is the ‘Legends’ category, featuring Paralympian star Joe Townsend. Townsend lost both his legs following an explosion in Afghanistan during 2008. In 2012 he famously flew into the Olympic Stadium to light the flame and in 2016 he represented Team GB in Rio. Joe will be racing the triathlon and will be taking on a newly created 3km run course. The organisers hope that Joe’s participation will encourage future entries to the ‘Legends’ category. All event participants will receive an event t-shirt, memento and goody bag. There is a prize fund of £500 and more prizes and trophies on offer. The event village will have live music, entertainment, commentary, retailers and catering. The 32Gi Eastbourne Triathlon is supporting the Eastbourne Voluntary Lifeguards and St Wilfred’s Hospice. The event is supported by 32Gi Sports Nutrition, Zone3, Cohub, Visit Eastbourne, The Grand Hotel, Brighton Bike Fit, GottoTri, Toni and Guy and The Event Team.